"JOIGN THE EAU THERMALE AVÈNE CLUB"
1. Pierre Fabre Dermo-cosmétique Canada (the “Organizer”) is the organizer of “Joign for the Eau thermale Avène Club” Contest (the “Contest”). 2. The Contest begins on July 16th, 2015, at 9 a.m. EDT (the “Contest Opening Date”), and ends on October 31st, 2015, at 11:59 p.m. EDT (The “Contest Closing Date”). 3. This Contest is intended exclusively for residents of Canada who have reached the legal age of majority in their province of residence by the Contest Opening Date. 4. Employees of the Organizer, Pierre Fabre Dermo-cosmétique, its subsidiaries, all affiliates of the Organizer, and their official representatives and agencies responsible for advertising and promoting the Contest (the “Partners”), as well as their legal or de facto spouses, their immediate family (brothers, sisters, children, father, mother), and any persons with whom such employees, agents, or representatives are domiciled, may not participate in this Contest. 5. 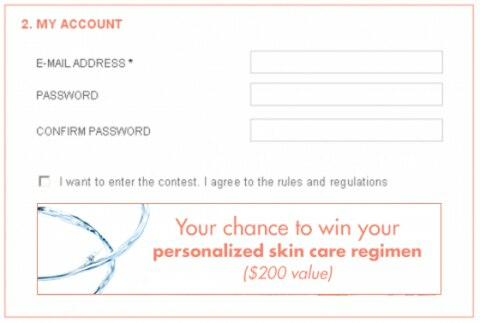 There are two (2) ways to enter the contest: by visiting www.eau-thermale-avene.ca/Contest or by mail. registration form by specifying your title, first name, date of birth, complete mailing address, email address and choose a password Club membership. Check the boxes of acceptance of terms and conditions, desire to participate in this contest and consent form to this Regulation and then click "Create new account". 5.1.2 For members of Eau thermale Avène Club Visit the website www.eau-thermale-avene.ca/Contest then log on by specifying your email and password Club membership. After your connection, you will be redirected to “My Information” page. Check the desired boxes to participate in this contest and the consent form to this Regulation and then click the "Save my information" button. Limit of one (1) entry per person for the duration of the contest. 6. On November 2nd, 2015, at 11 a.m. EDT, five (5) entrants (the “Finalists”) will be selected electronically and at random by Pierre Fabre Dermo-cosmétique Canada. To be named a winner, the selected entrants must have correctly answered a mathematical question on the declaration and waiver form. 7. The five (5) winners (defined below) will each win the following prize (the “Prize”): One $200 value personalized skin care regimen. 8.2 Having completed and signed an Exemption of Liability form (the “Form”) and returned it to the Organizer in the delays indicated on the Form following its receiving. 8.4 Have accepted the conditions for the prize and have agreed to receive the prize in one (1) single installment. 9. The odds of winning depend on the number of entries received by the contest closing date. 10. The refusal of a Finalist selected randomly to accept the prize frees the contest Organizer and its Partners of all obligations associated to the awarding of a Prize to this Finalist. 11. The Organizer and its Partners reserve the right, at their entire discretion, to cancel, terminate, modify or suspend, in whole or in part, this Contest should an event occur or any other human intervention have tainted or adversely affected the administration, security, impartiality or the normal unfolding of the contest as provided for in these contest rules and, in accordance to the approval of la Régie des alcools, des courses et des jeux du Québec, if required. In all cases, the Organizer, its subsidiaries, all stores affiliated to the Organizer and the Partners may not be held to attribute more than one prize or to attribute a prize otherwise than in compliance to these Rules. 13. The Organizer and the Partners shall not assume any responsibility whatsoever in the event that they are unable to act due to situations or circumstances beyond their control, or due to a strike, lockout or any other labour dispute occurring in the places of business of the organizations or companies whose services are retained to hold this Contest. 14. The Organizer and the Partners shall not assume any responsibility for any problem including, but not limited to, a technical failure of the phone lines or networks, online computer systems, servers or suppliers, computer equipment, software, or any other problem resulting directly or indirectly from a virus, bug or failure in data transmission. 15. By entering the Contest, the Winner authorizes the Organization and the Partners, their partners and representatives to use, if required, his or her name, photo, image, statements regarding the Prize, place of residence and/or voice without any form of compensation, at their discretion and without limit as to the time period, in any media outlet worldwide, for publicity or other purposes. 16. If, for reasons beyond their control and not related to the Winner, the Organizer and the Partners cannot award the Prize (or a portion of the prize) as mentioned in the official Contest Rules, they reserve the right to award a Prize (or a portion of the Prize) of same nature or equivalent, or, at their own discretion, the value of the Prize (or a portion of the Prize) in cash. 17. The Winner free the Organizer and the Partners, their advertising and promotional agencies, their employees, agents and representatives for any accident of whatever nature they could experience when entering the Contest in a store or for any damage of whatever nature that they could experience following the acceptance and the use of their Prize. 19. Any dispute regarding the organisation of a promotional contest may be referred to the Régie des alcools, des courses et des jeux to be settled. Any dispute regarding awarding of a prize may be referred to the Régie solely for intervention purposes with the aim of settling it. 20. Any Participant who fails to comply with these Rules may be disqualified. 21. Any misrepresentation on the part of a participant automatically leads to disqualification from the contest. 22. Decisions of the Organizer and Partners are final and are not subject to appeal. 23. To see the list of winners, visit the homepage of www.eau-thermale-avene.ca. 24. A copy of the contest rules is available in the contest section. Go to www.eau-thermale-avene.ca/Contest. 25. In case of differences between the English and French versions, if any, of this regulation, the French version shall prevail.